Now that the holidays are behind us and Christmas cards have all been mailed out, I get to share some family photo sessions! First up is a family I've known since our kids' preschool days. 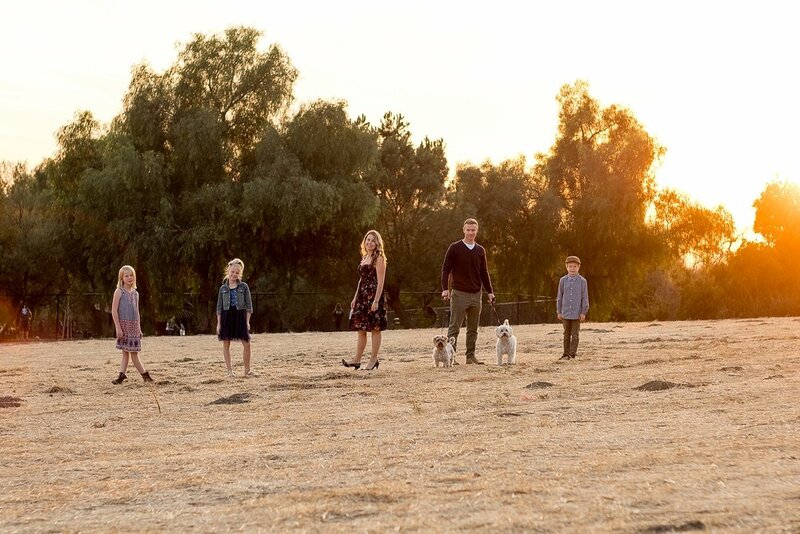 Tricia is an awesome photographer and her husband and kids are always up for outdoor adventures. So, when she asked me to take some family pictures for them, I totally squealed yes and we then searched for a gorgeous outdoor spot. We settled on Horsethief Canyon in San Dimas. It's such a pretty spot year-round with beautiful trees, amazing desert fauna and even a dog park for playing around afterwards. 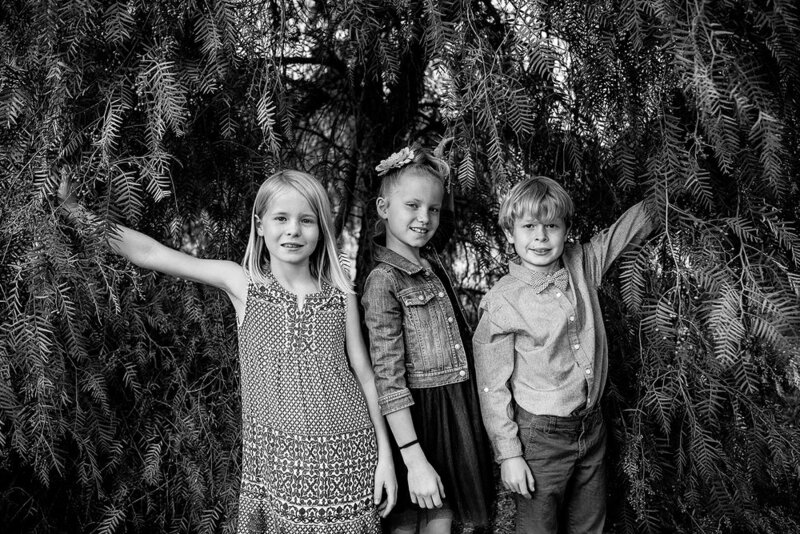 We started with photos of the parents with the beautiful desert cactus. No worries, no one got stuck from the cactus. As we wandered under willow trees and through wide open areas, we took advantage of the setting sun to get some swoon-worthy light. Of course, we found time to photograph the siblings together. It's always fun to see sibling personalities bouncing off each other. Then, it was time to add a couple of dogs. You guys! I grew up with dogs ... but, I never had to photograph them. Do you know how to get a dog to look at a camera instead of the interesting dirt in front of them? You bark. I was barking and yipping and feeling all sorts of silly. Didn't they do an amazing job coordinating everyone's outfits?!? So pretty! Makes me want to only purchase clothing for my kids that goes well with everyone else's clothes. I just love taking family pictures when the family is as adorable and fun as this family. If you're looking for a fun experience hanging out with your family and want some photos to hang up on your wall, let's chat.